Richard Markson's musical destiny was foreshadowed at the age of twelve when Paul Tortelier, invited him to Paris to become his pupil. He later worked with Pierre Fournier, whose lifelong support became instrumental in the development of his solo career. A much acclaimed London début, at which The Times proclaimed him “A quite outstanding cellist”, led to engagements throughout the world. In addition to appearances in his native Britain, the USA and Europe, he has completed twenty-six world tours extending from the Far East to Latin America. A new dimension to Markson’s career was initiated in the mid-eighties when he began to develop as a conductor under the guidance of his mentor, the distinguished American conductor, Ezra Rachlin. Since taking up the baton, conducting has claimed a significant proportion of his performing activities associating with orchestras as far afield as Australasia and South America and often featuring joint appearances as soloist and conductor. Chamber music plays an integral part in Richard Markson‘s artistic life. For many years he partnered Michael Roll and Mayumi Fujikawa in a piano trio. He has also enjoyed musical partnerships with Peter Frankl, Nobuko Imai, Jean-Rodolphe Kars, Gerald Robbins, Cristina Ortíz, John O’Connor, Jorge Federico Osorio and Bernard Flavigny. The Markson/Osorio Duo began more than twenty years ago and has performed throughout Europe, Latin America and Japan. 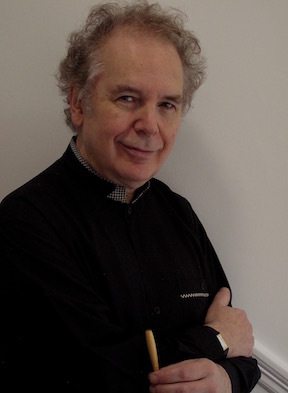 In addition to his Fellowship of the Higher Education Academy (UK) and Senior Fellowship at Trinity Laban Conservatoire of Music and Dance, his interest in teaching has led to association with the major musical educational establishments of Australia, Japan, Great Britain, Mexico, Brazil and the United States. His CD releases include the complete Bach Suites for Meridian Records, the complete Beethoven and Brahms Sonatas with Jorge Federico Osorio for ASV & Regis respectively and the Dvorak Cello Concerto.